Gosh, these look great! I love holiday decorations on cookies! 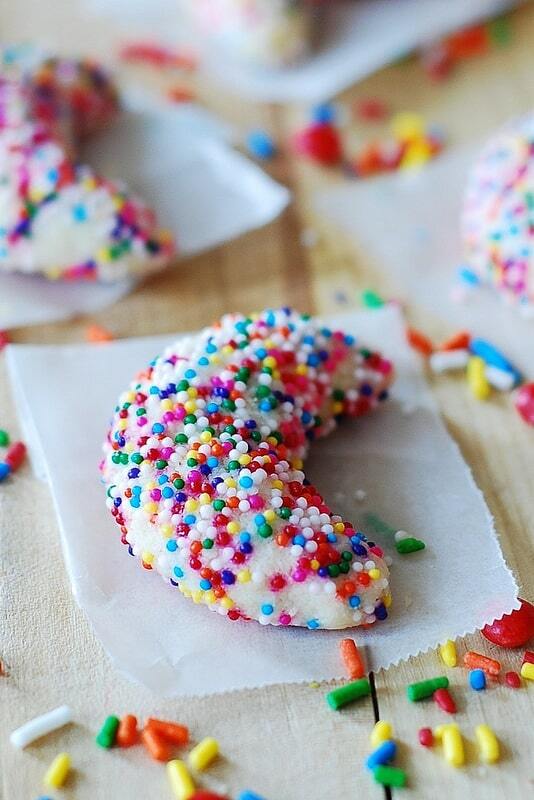 Sprinkles (and sanding sugar and whatnot – I just call them all sprinkles!) look so colorful. You’ve done a particularly nice job with these. 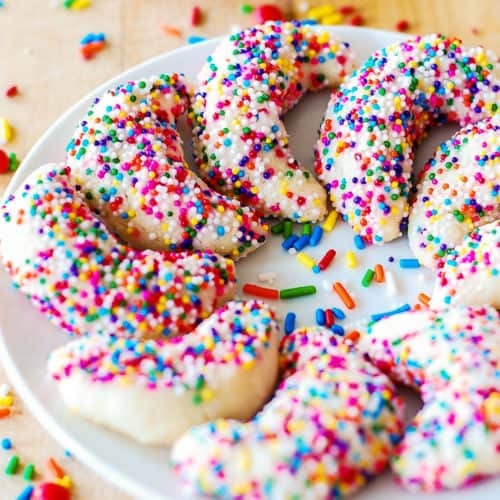 Almond crescent cookies are so good, and you’ve taken them up a notch. Thanks. 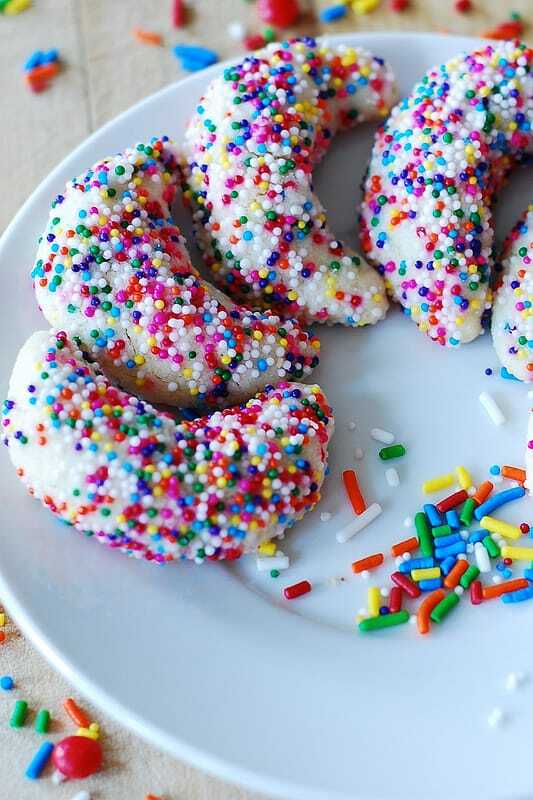 haha maybe add just a few more sprinkles : ) I love how fun and colorful these are! 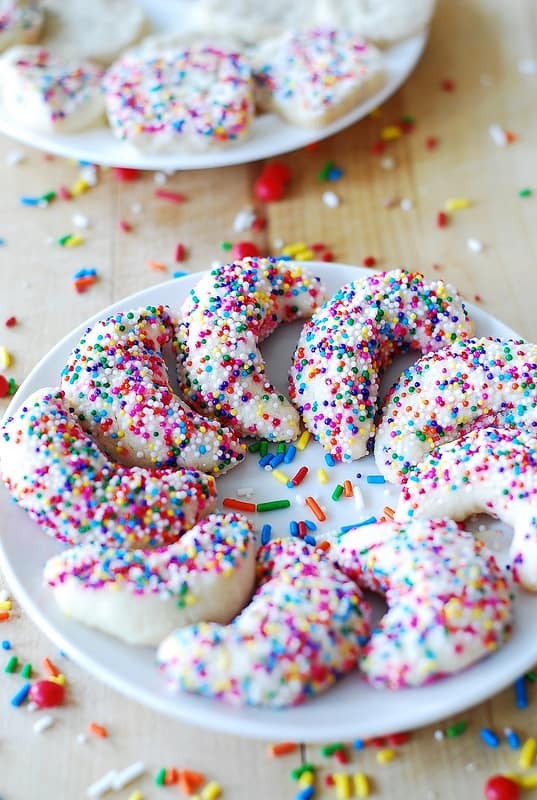 Plus, I do love me some almond crescent cookies – the sprinkles are a nice added bonus! Love almond or pecan crescents..
Good enough to hang on my Christmas tree and eat one a night in front of the twinkling lights…! And maybe dunk them into my spiked hot chocolate…! 🙂 🙂 🙂 love! They DO look pretty and merry and I love em! Julia, You’re killing us! How am I going to choose between all your holiday cookies? ?